The weather has turned, and there is more precipitation in our forecast. I took a walk through the woods as I normally try to do on Sundays, and saw a lot of these low lying cobwebs nestled in between the early fallen leaves. 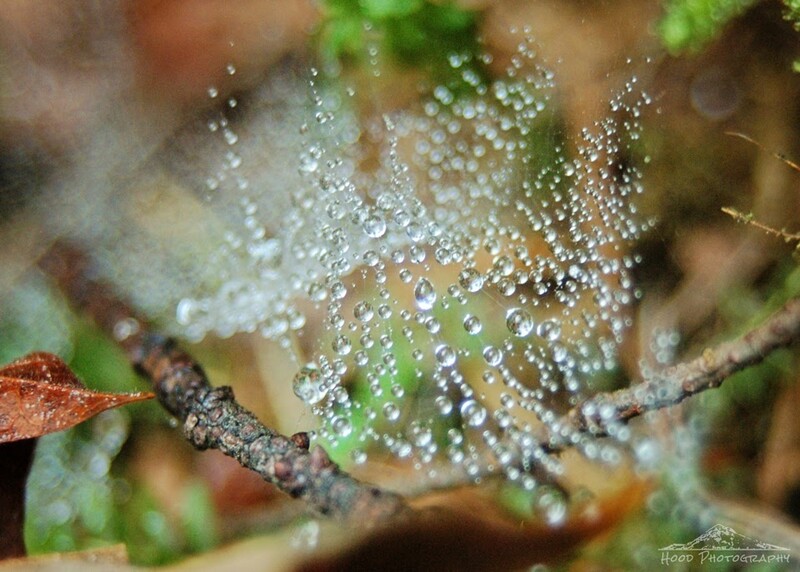 They all had caught the mist in the air in their strands, which sparkled like little jewels. I love what the morning dew does to spiderwebs. Nice shot! Beautiful detail you captured here! I love seeing your "Local" photos. The weather is turning here in Seaside too. What a great shot! I am new to this party. Great ideas and who knew spider webs could be so beautiful!